Talking Edge Studios specialise in live webcasts, live event streaming and provide all related production and post-production services. We are BBC approved experts. Our service is friendly, flexible and efficient. We’ll work with you to design a production plan, advise on the most suitable approach to achieve your key message and hand-hold you through the entire process. We are here to help you engage your customers and deliver your message in the best way. We stream your event live on location, in our studio, and to Social Media. Live video streaming, or live video webcasting, is the process of broadcasting real-time, live video footage to your audience over the internet. It is an innovative and unique way to deliver your content, connect and interact with your global audience, and to create new opportunities. “We recently live streamed a panel discussion at Talking Edge Studios. The professionalism and customer care from their team were outstanding. They kept us up to date leading up to the filming, giving us some great ideas and advice on how to improve the customer experience. On the day of the shoot, they couldn’t do enough for us, putting all of those involved at ease during the filming. The post-production was excellent and we received the files the next day, enabling us to post it online and continue our engagement with our audience. I hope to work with Talking Edge again in the future." We’re able to stream your event live at your preferred location. Our professional crew will take of all necessary arrangements. Our studio in central London provides the ideal facility for a live webcast. You can live-stream a panel discussion, roundtable or interview. Whatever the purpose and format we’re ready to go. We can livestream your event to your social media page helping you reach your Twitter or Facebook community. What Is The Purpose Of Your Live Stream? For example, it could be a product explanation, an internal event to review your annual results with staff, or an industry discussion aimed at broadening your influence. For an internal broadcast, you may wish to invite all of your employees, or a focussed group who otherwise find it hard to meet in one place. For an external facing event, target your invitations as you would for a conference. What Is The Right Length Of Your Webcast? This will be determined by the amount of information you need to get across, but many webcasts are around 30 or 40 minutes. 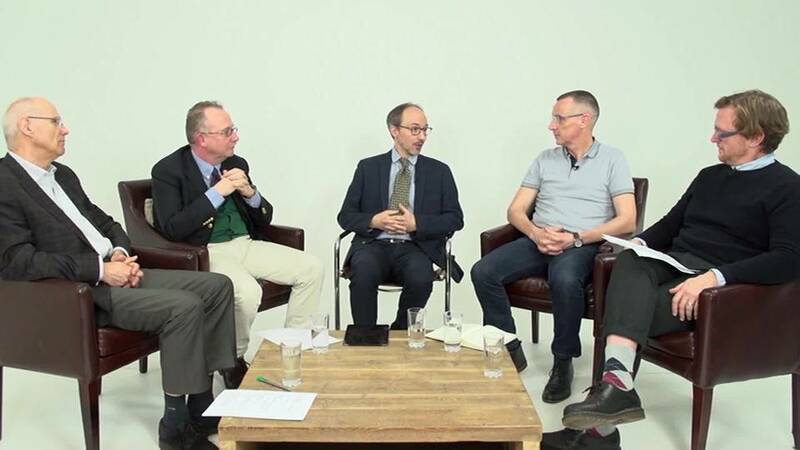 There are many ways to structure your live webcast - an example format could be: 10 minutes presentation, 15 minutes Q and A with the interviewer, 5 minutes Q & A from the audience. Some content can be delivered by an individual presenter, or a series of guests speaking individually, but most would involve a panel of two or three people. Your host will feel a degree of pressure when leading a live stream, so an autocue is a very helpful prompt. Prepare an introduction and sign off as a minimum, or script the interview questions to help keep them on track. Build in small breaks to the programme. This can be as simple as a ‘sting’ which gives participants a moment to relax, or for a longer broadcast you might insert a pre-recorded two or three minute video to give presenters and crew an opportunity to regroup. Live streams offer the opportunity to poll your audience and gather useful information, so think about the most useful questions ahead of time. The presenter will receive silent prompts from the crew to keep the show running to time. Make sure that you have discussed the format clearly with the crew well in advance and that they have the script, any slides, titles or other video inserts in plenty of time. Treat this event as you would a conference or meeting and send out your invitations as soon as you can. We can set up automatic reminders to go out again leading up to your event. Your live streaming page can be branded and you may wish to create additional visual feature to give the show an identity, such as ‘sting’. 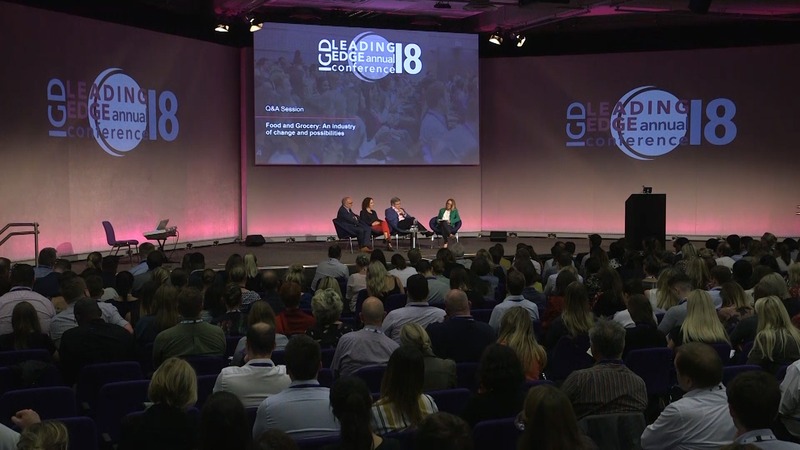 This is a highlights video of the IGD ‘Leading Edge’ Annual Conference (2018) which was streamed to a UK wide audience. Barclay Rae, CEO itSMF UK, explains why they have engaged with the use of video, especially with Live Video Broadcast. This interview is a part of an interview series live streamed to Twitter at the Numis T500 conference. This video highlights live events which were LIVE streamed by our crew. 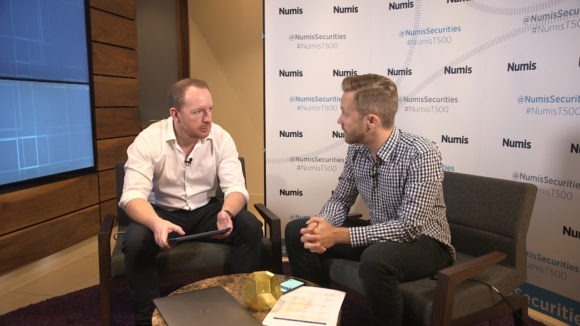 A live webcast produced and filmed by our team on behalf of Numis Securities.